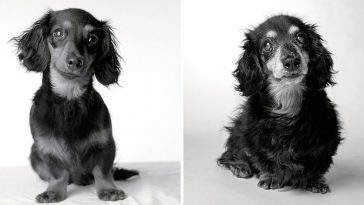 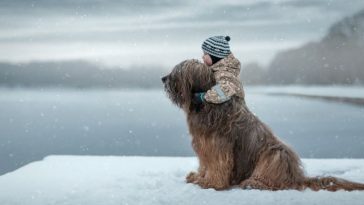 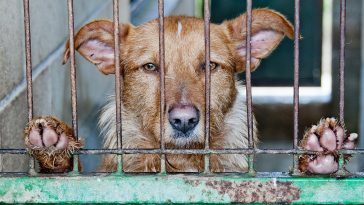 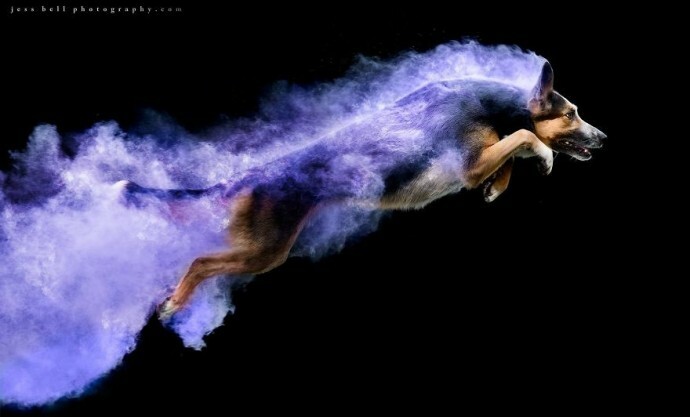 Jess Bell is a Canadian-based animal photographer. 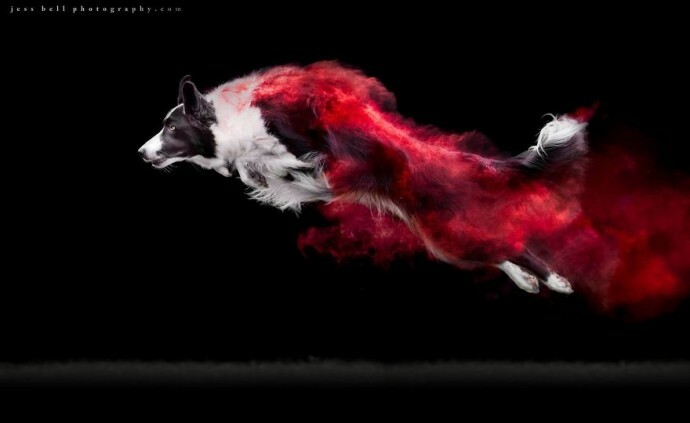 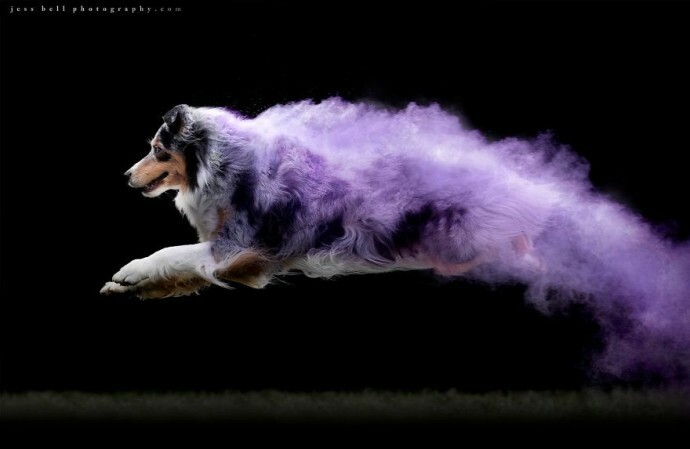 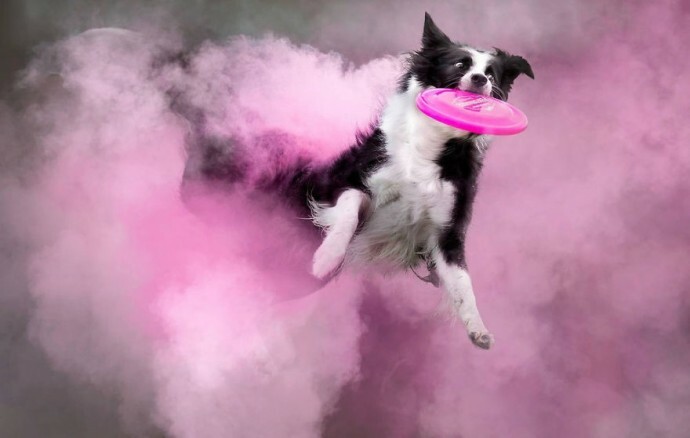 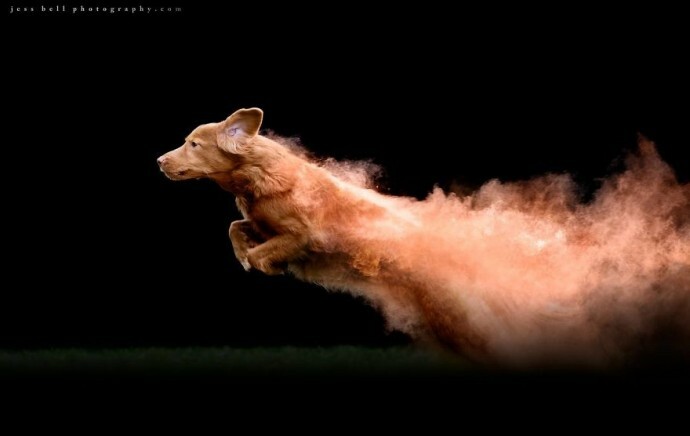 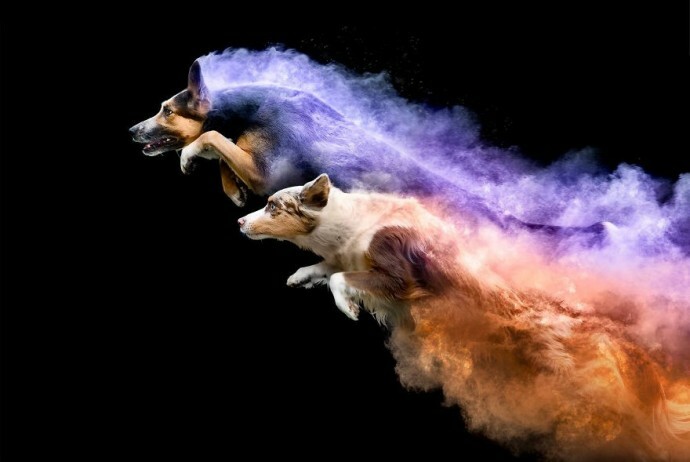 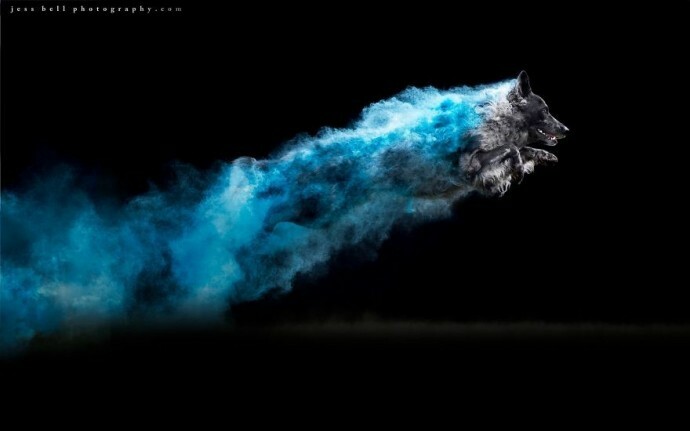 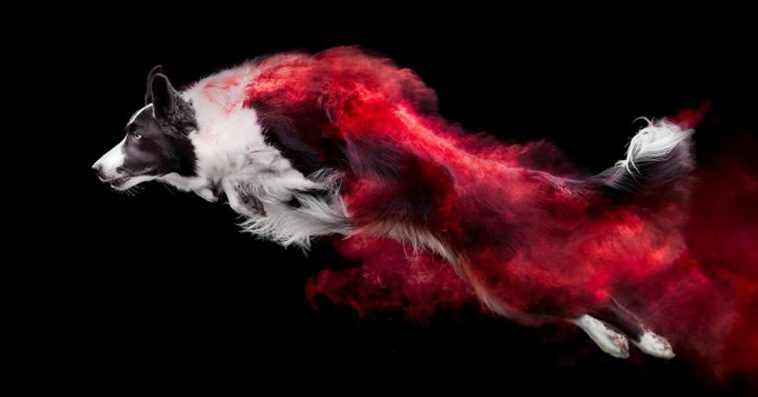 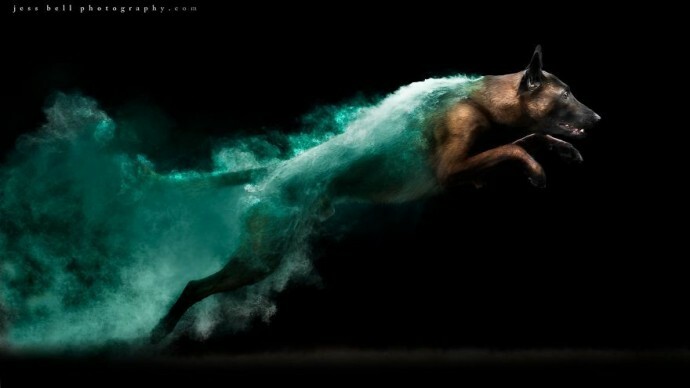 Her latest photo series depicts dogs of various breeds jumping and leaving a trail of colored powder behind them, and is a real pleasure to the eye. 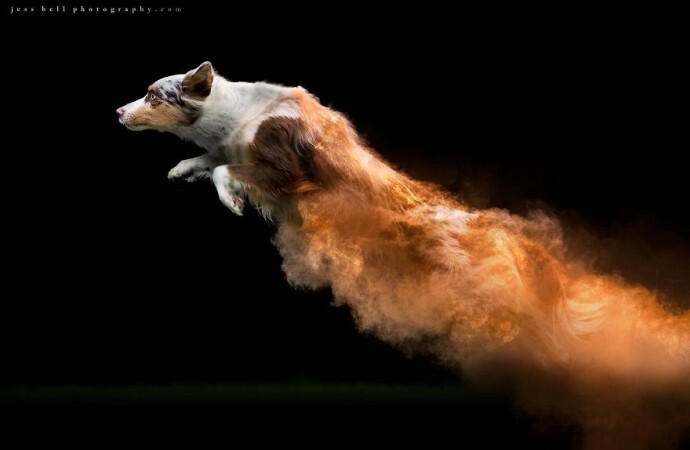 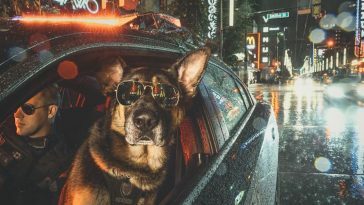 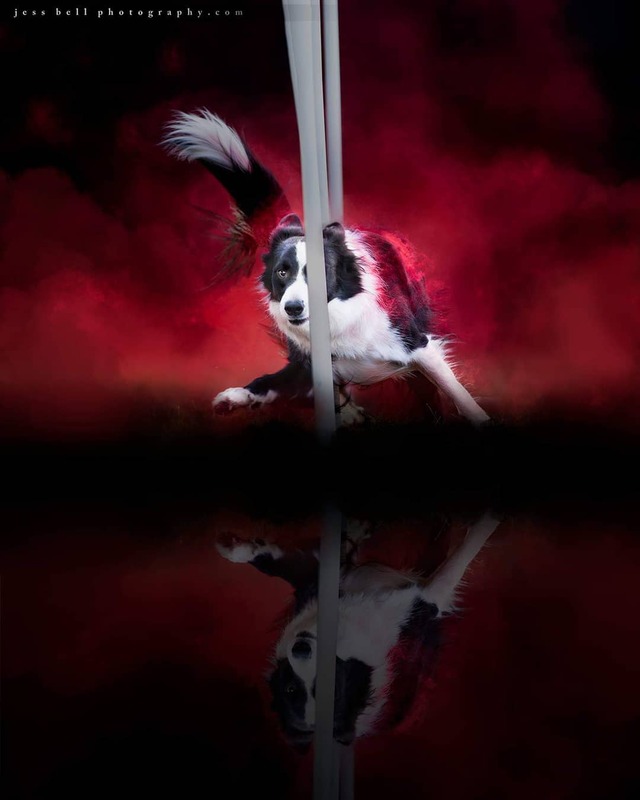 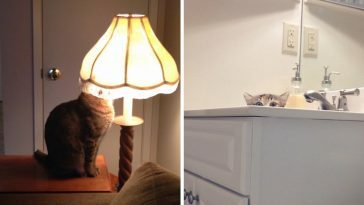 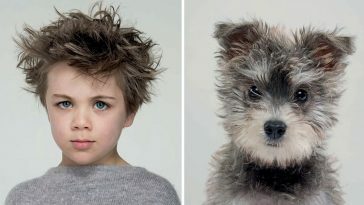 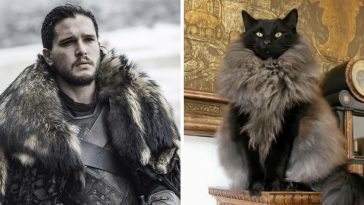 We’ve rarely seen animal photos as dynamic as the ones Jesse Bell created with her furry friends. 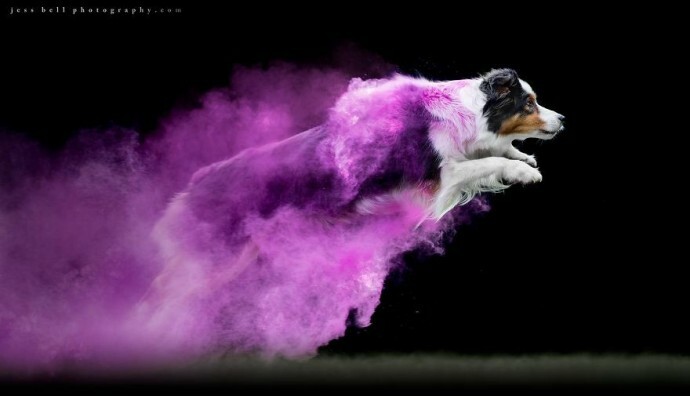 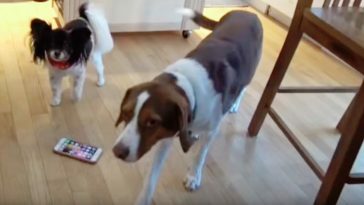 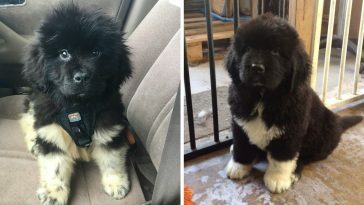 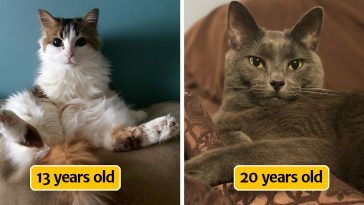 She achieved these results by tossing colored powder on the pups, and throwing a toy to make them jump and leave those colored trails behind them. 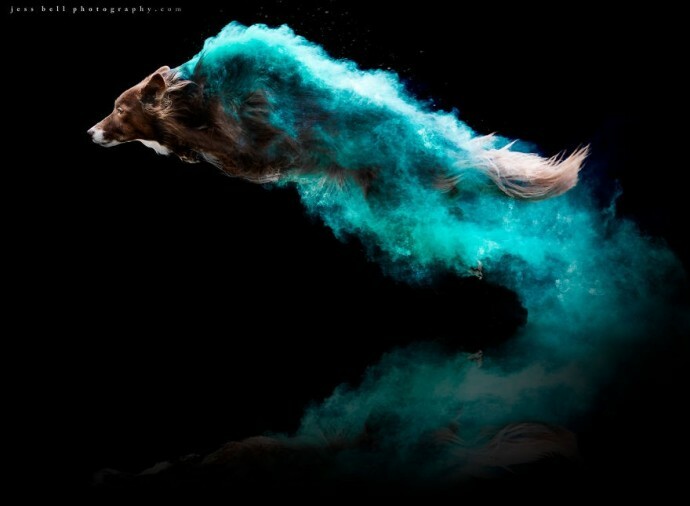 A simple concept, but actually difficult to realize the way Jesse did. 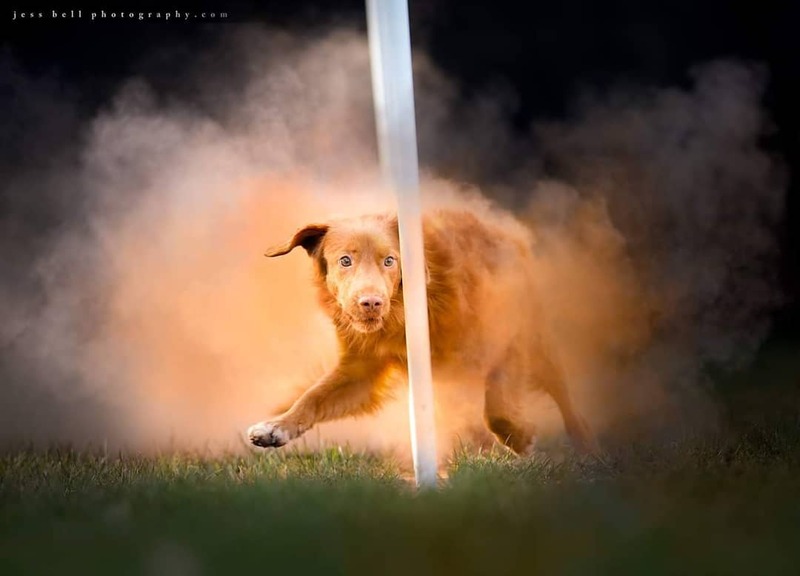 Everything in her photos is at the right place, the lighting, the trails’ shapes, the dog’s posture and the black background, everything perfectly conveys the dynamicity the photographer wanted to create. 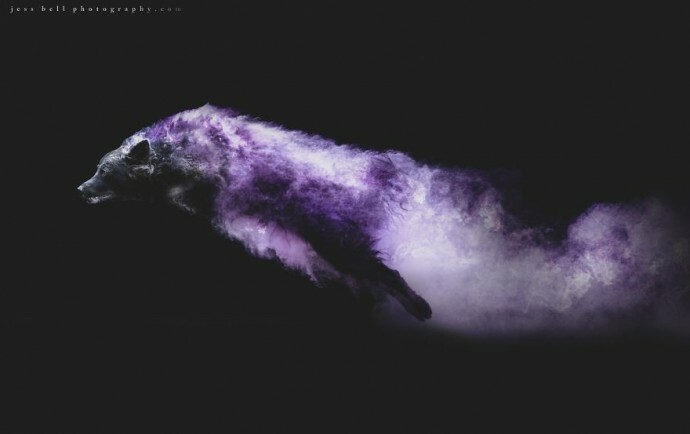 If you like the concept, scroll down to see the results, and remember to take a look at Jesse’s Instagram and website to see more of her works.